Spica is a brilliant, flushed white helium-type star, the 16th brightest star in our night sky. Astronomers regard Spica as the standard example of a first magnitude star, due to its measured visual magnitude of exactly one. Indeed, Spica is quite a dynamic star ~ its luminosity is 2300 times greater than our sun. Spica is 275 light years away from our solar system, this means it takes 275 years for the light emitted from Spica in present time to actually be visible to us on the Earth. What we view today is a 275-year old picture of Spica. Spica is massive star, a binary star system. The orbit of Spica and its companion star traveling at approximately 56 miles per second around their barycenter is four days, remarkably short for stars of the giant class. The fainter star appears to be half the size of Spica and the distance between these stars is about 11 million miles. Eighty percent of the light of this system comes from Spica's primary star. Spica lies in the left hand of Virgo about two degrees south of the ecliptic, the apparent path of the Sun in the heavens as viewed from the earth. Every year on October 16 the Sun conjuncts the star Spica, at 24° Libra. Spica is easily found by continuing the gradually curving line formed by the Big Dipper's handle ~ first to Arcturus, then "spiking" via a straight line directly to Spica another 30 degrees distant. It appears to be an equal distance from Arcturus as Arcturus is from the Dipper handle. Spica rises just as the Sun sets in early April, about an hour after Arcturus has risen. The best time to view the constellation Virgo is from February through July. October is the only month Spica is invisible. In early November, wake up well before dawn and look toward the eastern horizon and see Spica rising on the horizon. 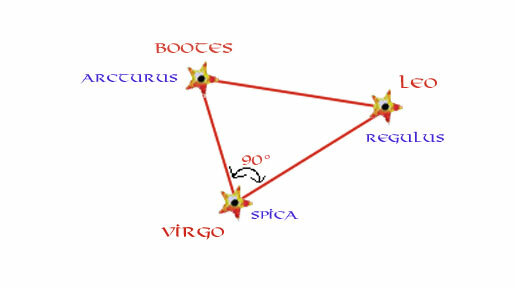 Spica, Regulus and Arcturus form a right angle triangle, with the line connecting Spica and Regulus forming the base. Spica is the brightest star in the constellation Virgo. The name Spica, from the Latin Spicum, is said to signify the wheat Virgo holds in her left hand. The Arabic name Al Simak Al Zal seems to mean the Unarmed One and appears in a variety of medieval writings as the Solitary One. The Persian Chushe, the Syrian Shebbelta, and the Turkish Salkim may all be translated as the Ear of Wheat. The Sogian name Shaghar honors the star as the "point" of the constellation Virgo. In Greek and Roman tradition the Virgin was generally identified with the goddess Astraea or Dike, the personification of justice, daughter of Zeus and Themis, and the last of the deities to abandon the Earth at the end of the Golden Age. In another legend she is Persephone, daughter of the goddess of the harvest Ceres, and consequently associated with agricultural matters. In many parts of the classical world she is the wheat-bearing maiden or the daughter of the harvest. In Egypt, the goddess Isis's star Spica was honored as the Lute Bearer. A temple in Akhenaton's royal city was thought to be oriented to the setting of Spica. It may be said that this most individualistic and enigmatic of the Pharaohs, often considered the first monotheist in history, was actually paying tribute to His own divine wife, the exoterically lovely Nefertiti. In other lands, too, Virgo was associated with a great mother goddess ~ in Assyria she was the wife of Bel, in Babylonian lands she was Ishtar, Queen of the Stars, and in India she was identified with Kanya, the maiden and mother of Krishna. Medieval Christians saw her as the Madonna, or as Ruth of the fields; in Roman times, as the Goddess Pax with her olive branch. She has been identified with the Saxon goddess Eoestre or Eostre, whose name still survives in the observance of our Easter. She has also been honored as Diana, Minerva, Athena, and occasionally as Urania, muse of astronomy. The sign Virgo is one of the most significant in the zodiac, for its symbology concerns the whole goal of the evolutionary process ~ to shield, nurture and finally reveal the hidden spiritual reality. This every form veils, yet the human form is equipped and fitted to manifest spirit in a manner different from any other expression of Divinity, and so make tangible an objective for which the whole creative process was intended. Virgo, the Virgin, stands for the womb of form and for the nurturing mother, guarding the Christ principle within her own material substance until in the "fullness of time" she can give birth to the Christ child. In Virgo the soul and the body are blended and of supreme importance to each other; the mother protects the germ of the Christ life. Matter guards, cherishes and nurtures the hidden soul. We're told the word Virgo itself is a descendant of a corruption of an ancient Atlantean root name applied to the mother principle in those far off times. This Virgin was the matriarch of a female-dominated society to which various myths and legends bear evidence, and have come down to us concerning Lilith, the last of the Virgin Goddesses of Atlantean times. This symbolism is found in the traditional accounts of the ancient Amazons, whose Queen Hercules killed in the Virgo task, wresting from her what he sought. This is an allegory, teaching the emergence of the spiritual person from the control of matter. Three of these goddesses are Eve, Isis and Mary. 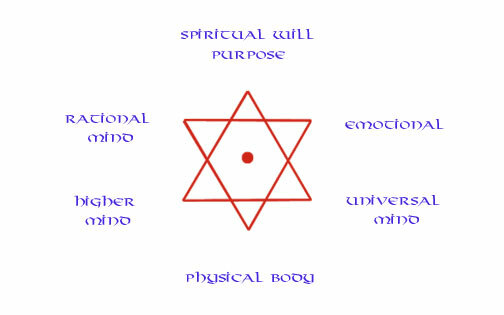 They embody the symbology of the entire form nature, and when these are integrated and functioning as a unit, is called the personality. The personality is the developed and qualified third expression of God, the Holy Spirit, the active intelligent and nurturing principle of the universe. Eve symbolizes the mental nature, the mind of humanity attracted by the lure of knowledge gained through the experience of incarnation. Eve took the apple of knowledge from the serpent of matter, starting the long human undertaking of experiment, experience and expression initiated ~ from the mental angle ~ in our Aryan times. Isis stands for this same expression down onto the emotional or astral plane. Eve has no child in her arms; the germ of the Christ life is too small to make its presence felt; the involutionary process too close. In Isis the midway point is reached; the quickening of that which is desired (the desire of all nations, as it is called in the Bible) has taken place. Isis consequently stands in the ancient zodiacs for fertility, for motherhood, and as guardian of the child. Virgo is the sixth sign of the zodiac, and the ancient symbol of the six-pointed star portrays the process of involution as well as of evolution, carried to the point of balance and expressed for us in the relationship of Virgo to Libra. 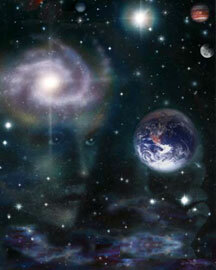 Astronomically Virgo is presently regarded as occupying the area in the heavens where Libra is found. This is all part of the great illusion which cosmology endeavors to grasp ~ there is a constant moving and shifting in space known as the precession of the equinoxes, which is both a fact and an illusion. Virgo symbolizes depths, darkness, quiet and warmth; it is the valley of deep experience wherein secrets are discovered and eventually brought to light. It is the place of slow, gentle and yet powerful crisis and periodic developments taking place in the dark and yet leading to light. It is the blinded stage found in Masonic rituals, and ever precedes the gift of light. Virgo stands for the womb of time wherein God's plan is slowly matured and ~ with pain and discomfort through struggle and conflict ~ brought into manifestation at the end of the appointed time. Today we are entering into the eighth "month" of the gestation period, age-wise; this is almost literally the case where humanity is concerned for counting from Virgo to Aquarius, the age we are now entering, we find that there are just eight signs: Virgo, Leo, Cancer, Gemini, Taurus, Aries, Pisces and Aquarius. 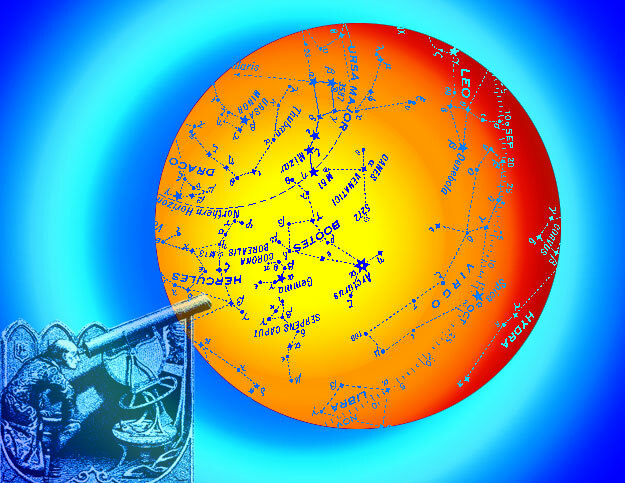 Relating to Chinese (or oriental) astrology, the star Spica is the determining star of the first Chinese lunar mansion, which is called The Horn. Spica can be considered either the horns or the eye of the Dragon, for this lunar mansion is the first sector of the Azure Dragon ~ the guardian god of the eastern direction, according to their astrology. In ancient China, the constellation Scorpius was the major portion of the large and regal figure of the Azure Dragon or Dragon of the East, while Antares itself was titled the Fire Star (or heart star). by Alan Oken, New York published by Bantam Books, 1990.